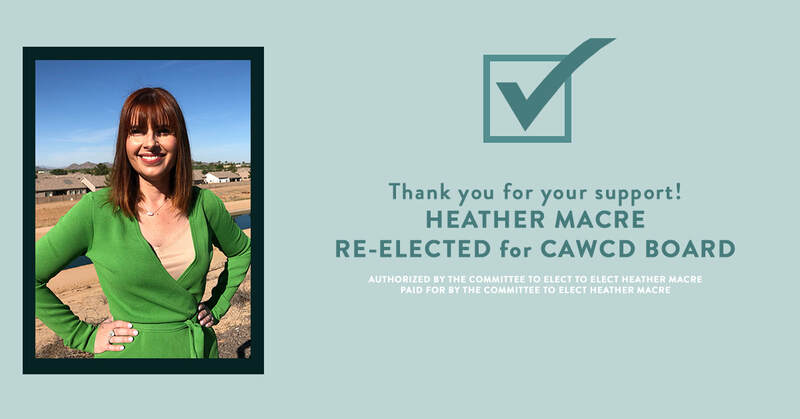 Heather Macre has been honored to serve on the CAWCD Board of Directors since 2012. Her dedication to sustainability, smart growth, and increased transparency has helped the Board and our sustainable water future thrive. ​plenty of work to be done. We can't do it without you.